Writin a blog about coding, its useful to be able to display code in a readable way. With HTML we can use the <pre> tag for preformatting things, but it doesn’t do syntax highlighting. I had a look around at other code blogs did a few searches and found Prism. This was about the only part that caused me a problem. The original example I was looking at had Prism highlighting HTML, and CSS code and was served from a CDN. I copied the CDN location and added it to my own HTML, and it formatted the code nicely, but didn’t do the syntax highlighting that I was looking for. Then looking at the Prism website, there are a large number of languages with checkboxes beside them. The python checbox wasn’t ticked. So it turns out that you need to specify the languages you want to use and download a custom copy of Prsim (unless you are using the default languages). It also gives you an option to choose a different theme, so I went for a dark background. Anyway, I added Python and a couple of other languages and downloaded my custom copy. 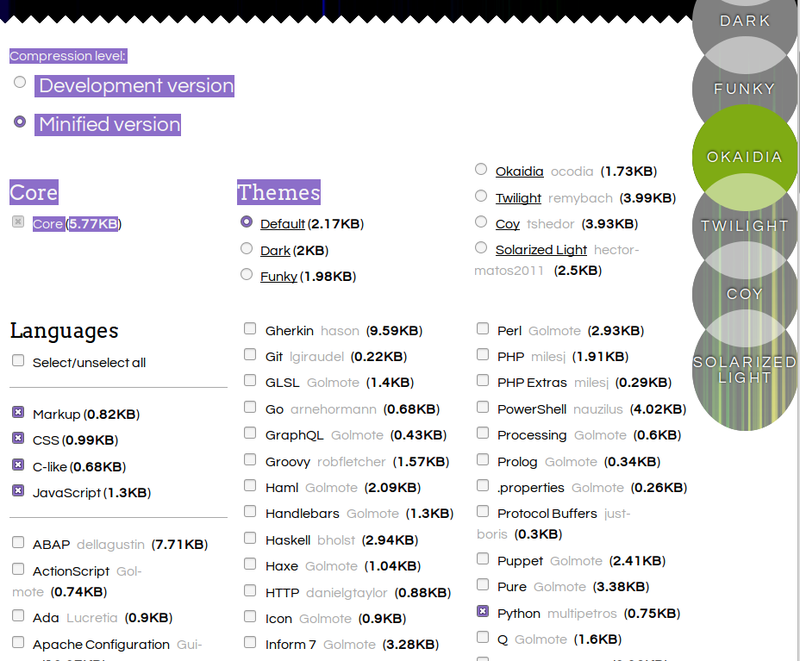 I added the Prism js and CSS files to the head of my HTML. Then its a case of wrapping the code in two tags, pre and code. The class on the code tag should be whatever language yoyu need to highlight - in my case python. One thing worth noting (as I discovered writing this post) is that code for HTML (and I assume for JS and CSS) needs to be escaped, otherwise the broswer will try to render it. I used this site, cutting and pasting the small piece of example code that you see above to get this, which went into the file for creating this blog post.